The Brothers Replacement Crew transferred in at the end of June. 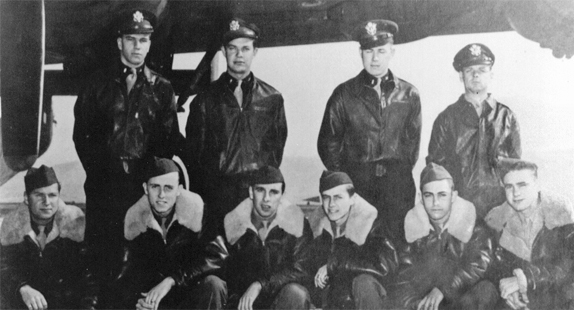 On 3 Jul 44, after a little in-house training, they were assigned to the 859th BS and were designated as Crew 920. By our count they flew 11 missions, including an aborted one. We are checking to see if it was credited, since there are claims that it was. The assumption is that the entire crew flew on each of the missions without substitutions. They transferred intact to the 467th BG on 10 Aug 44. The Brothers Crew's co-pilot was named Smothers, but it would be a good fifteen years before the actual Smothers Brothers comedy/singing duo would make these names an oddity. To top things off, they had a John Kennedy flying with them. Interesting.